My due date is 2 months away. 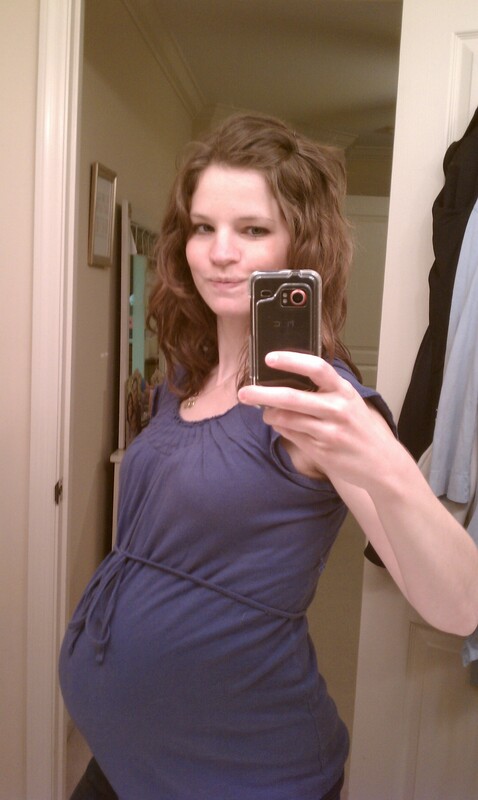 Two months from today will be May 26th — my due date with Gabriel, what was my due date with Jack, and is my birthday. Two months from today I will be another year older, Jack will be 2, and we will have [most likely] had another baby. It’s exciting and it’s scary. Truthfully, the fear of the unknown hangs heavy sometimes. The unknown is heavy, even without any fear associated with it. The part that scares me is knowing how fast the rest of this pregnancy will go. We’ve known that Gabriel has Trisomy 18 for 11 weeks now, and I can hardly believe that. The past 11 weeks have gone by so so quickly, and that makes me nervous for the speed of time ahead of us. While it’s easy to get caught up in that and let fear sit and dwell, I have to remember the opportunity I’ve been given. I’ve been given a gift of knowing time is finite. I’ve been granted eyes to truly see and appreciate this baby for all he is — a creation from our Father in full and beautiful form right now, and for that I will celebrate him and appreciate him EACH day. We are celebrating with him now, appreciating his personality, and every day that we are granted with him. So while it’s very sobering to realize we are approaching the final stretch in pregnancy, I am full aware that life is here with us today and I will choose to live in that.